This post has a couple of purposes. 1. I am testing posting by email and NOT going through Flickr. 2. 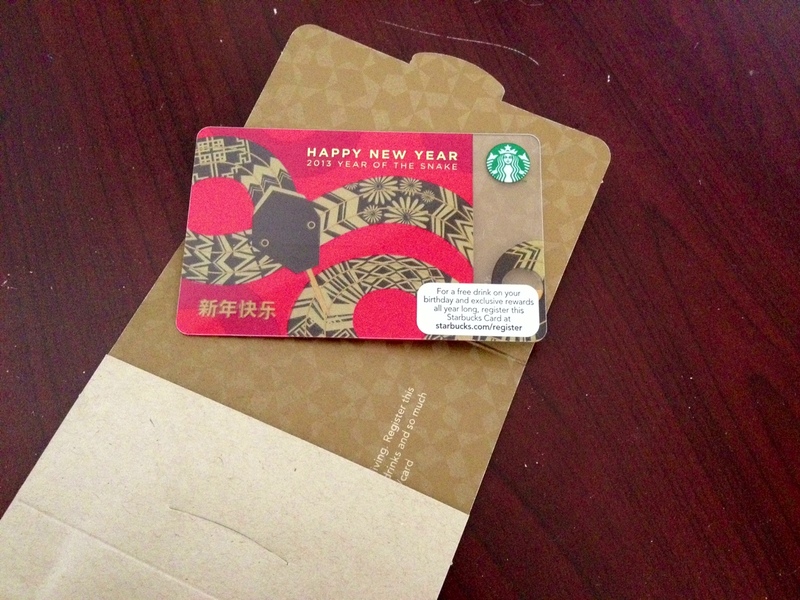 I am demonstrating that cleaning one’s desk has benefits – behold, a long-lost Starbucks card has been unearthed. 3. It’s a snake! In Asian cultures, 2013 is the year if the Snake. I have had snakes in the garage. A Facebook friend recently had snakes in her garage too, and I was able to identify them because of Master Naturalist training. Another friend says snakes mean change is coming. For me, they have shown up mostly in relation to housing and job type changes. Oh and let us not forget that I was inexplicably sorted into Slytherin house on Pottermore! So now, I have some activities going on in the realms of housing and jobs – and I unearth this card, which was a “free gift” for some reason that I cannot remember. I just tossed it into the crapalanche on the desk only to discover that the card bears a snake upon it. The Starbucks site will not let me “Add A Card” to my account. I was going to remove the old “sunshine card” after transferring all monetary value to this one. Apparently, the Universe does not wish for me to do that. Cogitating….